Your CV (Curriculum Vitae) is a fantastic means to demonstrate your academic achievements and professional history. It is your first opportunity to show a prospective employer that you have the required skills and experience for the job. It is therefore vital that your CV highlights your abilities and accomplishments. 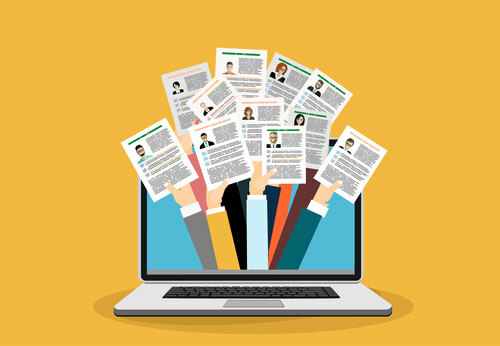 Even in our digitally driven world, your CV remains an essential tool in your job search. If it does not clearly communicate that you are a suitable candidate, your application may not progress any further. 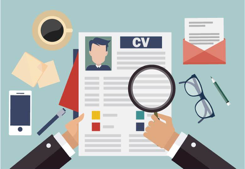 At Language Recruitment Services, we believe a well written and presented CV can be a passport to an interview! • Highlight suitable or relevant skills, experience and achievements. • Have a clear layout and logical structure. • Be informative but concise. • Provide honest information only – avoid inaccurate details. Successful presentation ensures key information is easily identified and your CV captures the attention of the reader. • Typed, preferably in Microsoft Word format. • Use a clear font (such as Arial or Times New Roman) in a readable size: 10 or 11 point. • Use appropriate headings, section breaks and spaces. • Avoid large empty spaces or cramped sections of text. • Use bold, underline or larger font sizes for headings. • Use bullet points where possible to break up the text. • Ensure sentences are concise. Interestingly, it has been suggested that recruiters/selectors tend to pay most attention to the upper-middle part of the first page. Take advantage of our insider intelligence and ensure this area contains essential information! Although there are no definitive rules, it is advised that your CV cover a maximum of 2-3 A4 pages. Key skills and experience need to stand out, as prospective employers will likely only spend a few minutes scanning the document.